When we live the gospel of Jesus Christ, when we draw upon the Savior’s Atonement and press forward with faith, we are fortified against the adversary. People have built fortresses throughout history to keep the enemy outside. Often those fortresses included a guard tower where watchmen—like prophets—warned of menacing forces and coming attacks. 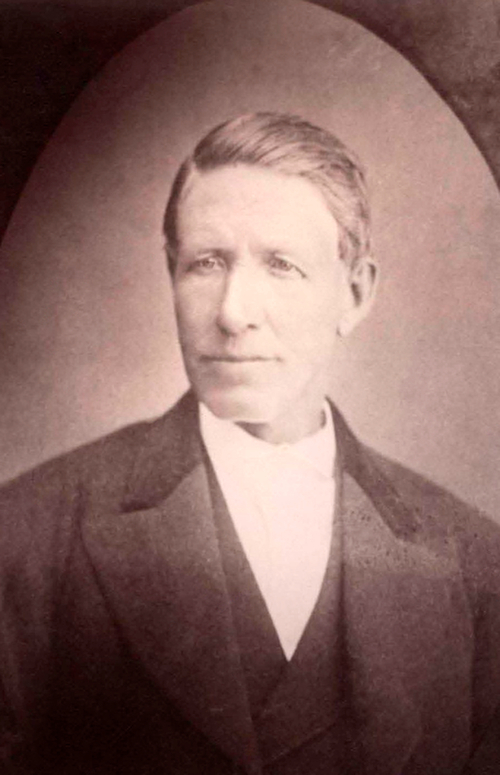 In early Utah pioneer times, my great-grandfather Thomas Rasband and his family were some of the first settlers to enter the Heber Valley in the beautiful Wasatch Mountains of Utah. In 1859, Thomas helped construct the Heber fort, built for their protection. 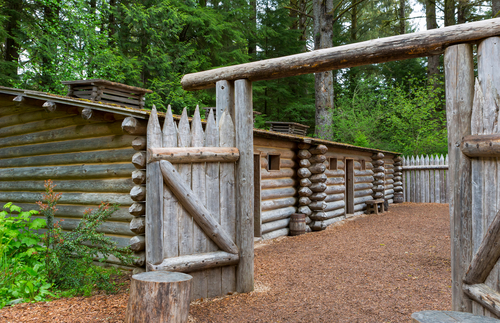 It was a simple structure of cottonwood logs positioned one next to the other, forming the perimeter of the fort. Log cabins were built inside the fortress using that common wall. The structure provided both security and safety for those pioneer families as they put down roots and worshipped the Lord. So it is with us. Our homes are fortresses against the evils of the world. 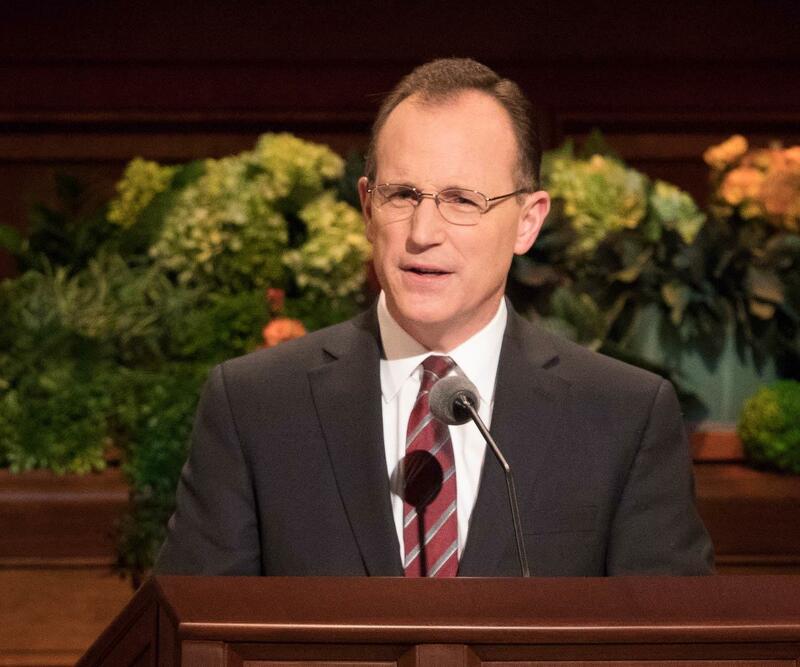 In our homes we come unto Christ by learning to follow His commandments, by studying the scriptures and praying together, and by helping one another stay on the covenant path. The new emphasis on personal and family study in the home through the curriculum Come, Follow Me is designed “to deepen our conversion and help us become more like Jesus Christ.”4 In so doing we will become what Paul called “new creature[s]”5 with our hearts and souls in tune with God. We need that strength to face and deflect the assaults of the adversary. As we live with devotion born of faith in Jesus Christ, we will feel the peaceful presence of the Holy Ghost, who guides us to truth, inspires us to live worthy of the Lord’s blessings, and bears witness that God lives and loves us. All this within the fortress of our own homes. But remember, our homes are only as powerful as the spiritual strength of each one of us within the walls. 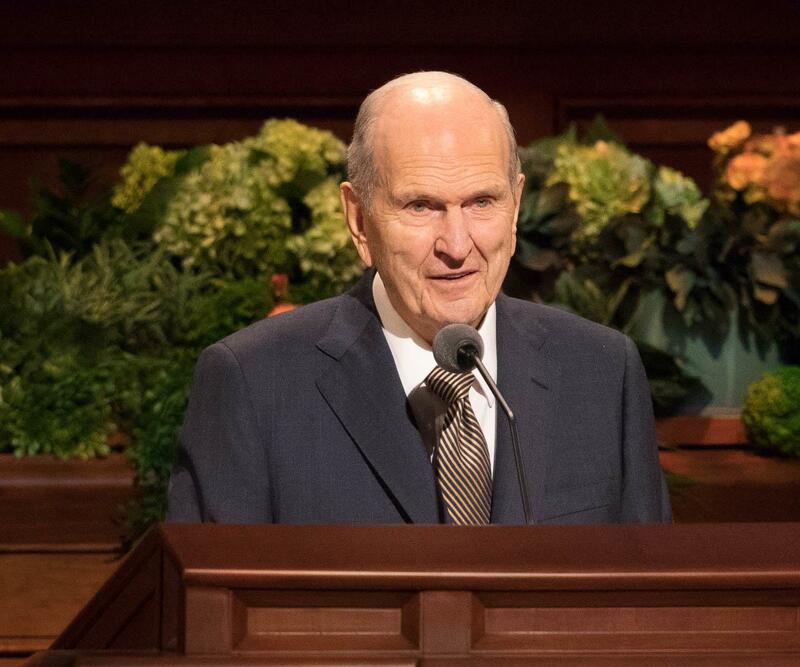 President Russell M. Nelson has taught, “In coming days, it will not be possible to survive spiritually without the guiding, directing, comforting, and constant influence of the Holy Ghost.”6 As the Lord’s living prophet, seer, and revelator in this day, the watchman on the tower of our fortress, The Church of Jesus Christ of Latter-day Saints, he sees the advances of the enemy. Brothers and sisters, we are at war with Satan for the souls of men. The battle lines were drawn in our pre-earth life. Satan and a third of our Father in Heaven’s children turned away from His promises of exaltation. Since that time, the adversary’s minions have been fighting the faithful who choose the Father’s plan. For our safety, we must build a fortress of spirituality and protection for our very souls, a fortress that will not be penetrated by the evil one. When we build a fortress of spiritual strength, we can shun the advances of the adversary, turn our backs on him, and feel the peace of the Spirit. 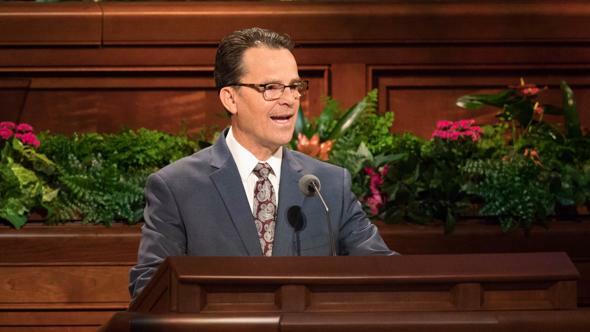 We can follow the example of our Lord and Savior, who, when tempted in the wilderness, said, “Get thee behind me, Satan.”10 We each have to learn by the experiences of life how to do that. When the Lamanites came to battle, they were astonished by the Nephites’ preparation, and they were defeated. 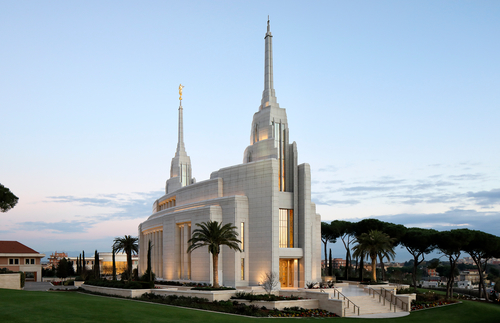 The Nephites thanked “the Lord their God, because of his matchless power in delivering them from the hands of their enemies.”14 They had built fortresses for protection on the outside, and they had built faith in the Lord Jesus Christ on the inside—deep in their souls. What are some ways we can fortify ourselves in troubled times, that we may be “instruments in the hands of God to bring about this great work”?15 Let’s look to the scriptures. Do we act with the willing obedience of Nephi? Or are we more inclined to question God’s commands as did Nephi’s brothers, whose lack of faith eventually turned them away from the Lord? Obedience, exercised with “holiness of heart,”18 is what the Lord asks of us. We trust the Lord, who said to Joshua as he prepared to lead the Israelites into the promised land, “Be strong and of … good courage; be not afraid, neither be thou dismayed: for the Lord thy God is with thee whithersoever thou goest.”19 Joshua trusted those words and counseled the people, “Sanctify yourselves: for to morrow the Lord will do wonders among you.”20 The Lord parted the waters of the Jordan, and the Israelites’ 40 years of wandering in the wilderness ended. As we diligently strengthen our fortifications, we become like Jesus Christ, as His true disciples, with our very souls in His protection. Your testimony of Jesus Christ is your personal fortress, the security for your soul. When my great-grandfather and his fellow pioneers built the Heber fort, they put up one log at a time until the fort was “fitly framed together”28 and they were protected. So it is with testimony. 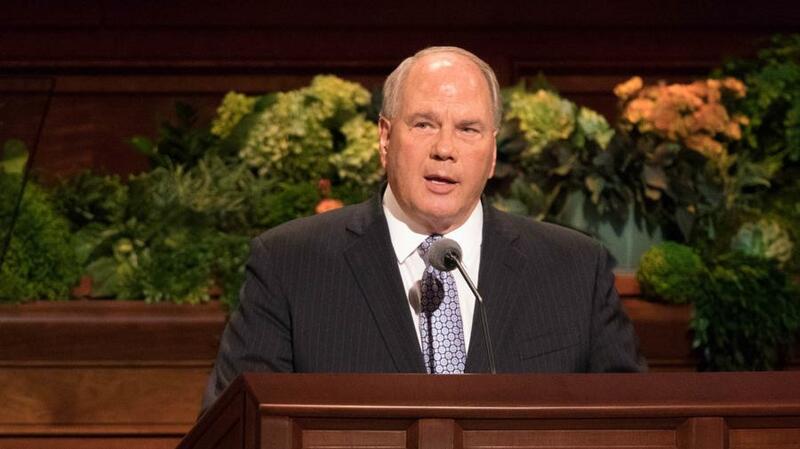 One by one we gain a witness from the Holy Spirit as He speaks to our own spirit, teaching “truth in the inward parts.”29 When we live the gospel of Jesus Christ, when we draw upon the Savior’s Atonement and press forward with faith, not fear, we are fortified against the wiles of the adversary. 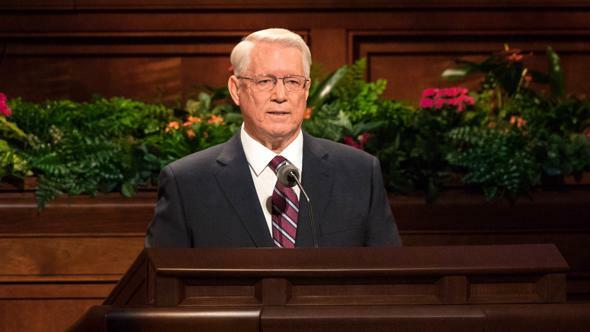 Our testimonies connect us to the heavens, and we are blessed with “the truth of all things.”30 And, like pioneers protected by a fortress, we are safely encircled in the arms of the Savior’s love. 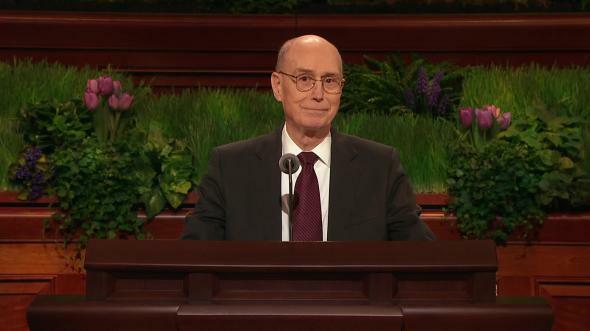 My dear brothers and sisters, I leave you with my blessing to go forth with confidence in the Lord and in His gospel. Put your arms around those who stumble and, with the strength of the Spirit within you, lead them lovingly back to the fortress of spirituality and protection. Seek “to be like Jesus”32 in all that you do; shun evil and temptations; repent, as we were admonished yesterday by our dear prophet; be honest in heart; be upright and pure; show compassion and charity; and love the Lord your God with the devotion of a true disciple. 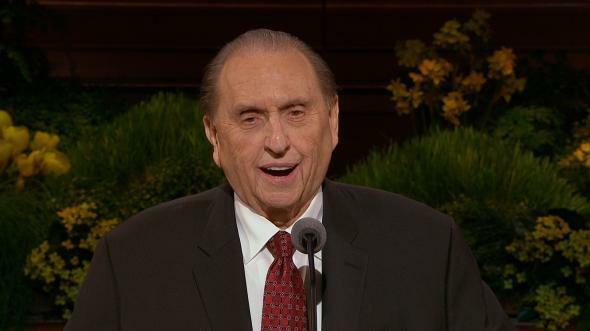 Our testimonies of the gospel of Jesus Christ, our homes, our families, and our membership in The Church of Jesus Christ of Latter-day Saints will be our personal fortresses of protection surrounding us and shielding us from the power of the evil one. Of this I bear my solemn witness in the name of our Lord and Savior, even Jesus Christ, amen. Come, Follow Me—For Individuals and Families: New Testament 2019, v.
“A Mighty Fortress Is Our God,” Hymns, no. 68. 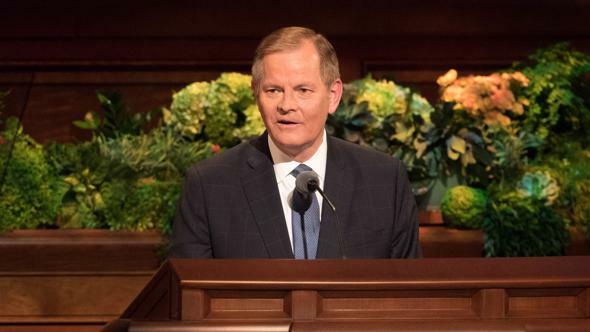 Russell M. Nelson, in Tad Walch, “President Nelson Refers to Apostles Peter, Paul during Rome Temple Dedication,” Deseret News, Mar. 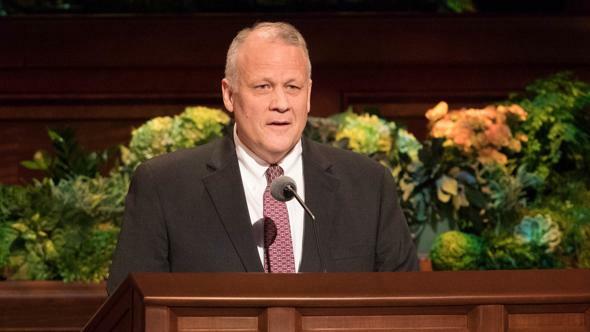 10, 2019, deseretnews.com. “I’m Trying to Be like Jesus,” Children’s Songbook, 78.